To view or to book any of our prestigious wedding cars, please call Eddie & Kath on 0800 298 4020, 02920 030410 or 01685 848730. 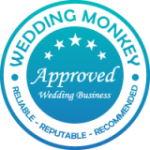 We can give you expert advice over the phone or in person, to which wedding car or cars will suit your requirements best. Viewing of the vehicles is generally by appointment, to ensure that the vehicles you are interested in are available to view and not attending a wedding. We put the sparkle into your special day. Free bottle of bubbly for the bride and groom. Packages to suit all budgets. Professional uniformed chauffeurs covering all of South and West Wales. All vehicles are fully dressed with flowers and ribbon colours of your choice. We have agents waiting to talk to you about your dream wedding! Call 0800 298 4020, 02920 030410 or 01685 848730 Today! 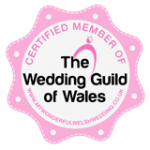 We operate the whole of Cardiff, surrounding villages and towns.